The working from home generation! Love being a part of the generation that creates start ups, new solutions and prefer to work in small energizing teams rather than big companies. Love to be a part of a generation that gives a lot of themselves to the world and trying to find new ways to create better societies. Following the Didigital and entrepreneur to check out new cool start up and creative ways to build better societies and relationships to people around no matter if its to a business, reach out to specific group or to find the right mentor and so on. Freedom comes with this but also a lot of responsibility and discipline. Today, I work both from home and the office and for me its important to have a great and motivating office space no matter where I am. 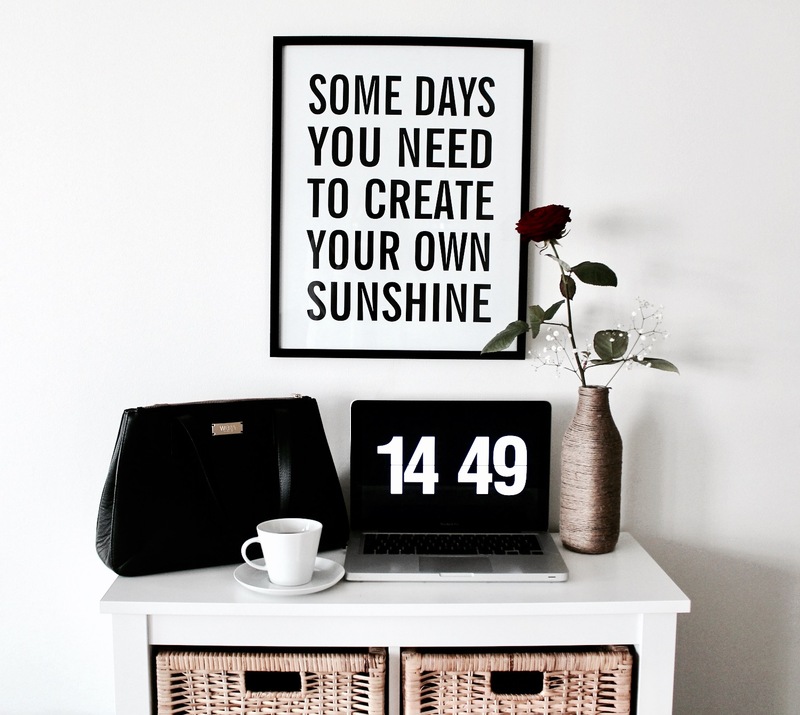 A great quote on the wall is a must and then some photographs are preferable, flowers to keep it fresh, a caramel macchiato of course ;), a bag (love the ones from here!) with the most needed and a watch to keep up with the time in case meetings, events or other occasions are about to happen. Checking out some great office decor at this place and you can download the cool digital watch Fliqlo!